The Hawks raided the offices of top law firm Webber Wentzel and cellphone service provider MTN last week, in the latest development in the decade-long battle between MTN and Turkcell over cell service provision in Iran. The investigation, ongoing since 2012, was initiated following claims by Iranian cell service provider Turkcell - which has accused MTN of bribing Iranian government officials to secure a lucrative operating licence to provide services in Iran in 2004. At the time, Turkcell was the only provider in Iran. Hawks spokesman Brigadier Hangwani Mulaudzi confirmed the raids happened on Friday, adding that documents and equipment were seized at both offices. "The Hawks serious corruption investigation, and the priority crime and specialised investigation units, conducted a search and seizure operation at MTN and Webber Wentzel attorneys last week Friday on allegations of foreign bribery," Mulaudzi said on Tuesday. "It relates to an MTN/Turkcell international tender where multiple companies participated. A winning bidder was announced however, the process was allegedly overturned in favour of MTN. "The purpose was to obtain documentation relating to the deal and further seize equipment linked to the matter. Investigations are still continuing." Webber Wentzel said it was taking the legality of the warrant under legal review. "As a law firm, we are professionally prevented from providing any third party with information related to our clients' matters. This is a requirement of our profession," Webber Wentzel told News24 in an emailed response to questions. Webber Wentzel confirmed the Hawks arrived at its Sandton offices armed with a warrant on Friday "to seize documents related to a client involved in ongoing commercial litigation". "We are reviewing the lawfulness of the warrant and its execution by the Hawks on various grounds, including legal privilege. We ensured that the documents and information taken were sealed and will be kept by an independent third party, nominated by us, pending the outcome of an application to the high court. We will ensure that our client's rights are protected and that legal privilege, which is a key principle to our profession, is upheld." 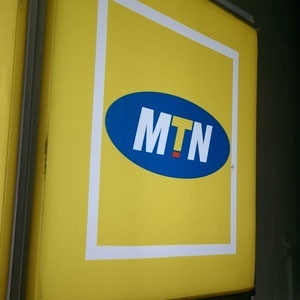 MTN said in a statement on Tuesday that it was co-operating fully with the Hawks and that it "continues to defend itself in the long-running litigation where Turkcell is claiming damages against MTN". MTN maintains that Turkcell's claim is without merit. In October last year, MTN filed court papers seeking to have a R59 billion ($4.2 billion) claim by Turkcell thrown out. For more than a decade, Turkcell has pursued its claim which it believes constitutes loss of potential income had MTN not won the bid. The company claims MTN paid bribes and promised political support for Iran's nuclear programme it if clinched the deal. MTN has repeatedly denied the claims, and in 2013 commissioned a report by Lord Leonard Hoffmann, a South African born former jurist in UK. He later cleared MTN of any wrongdoing. The report found no evidence of collusion between MTN and Iranian officials to hamper Turkcell’' bid. "Lord Hoffmann was also very clear in finding that he was entirely satisfied that there was no conspiracy between MTN and Iranian officials to remove Turkcell from the licence process in Iran, that there were no promises made to procure the South African government to supply defence equipment to Iran or to support Iran's nuclear policy," MTN said. But Turkcell has persisted – and so too have the Hawks. Turkcell first filed papers in the High Court in 2013 and in May last year, the court agreed to hear the matter. The claim also extends to former MTN group CEO Phuthuma Nhleko and former director Irene Charnley, both who were involved in the negotiations with Iranian officials to secure the license. Nhleko is the current MTN chairperson. Turkcell has already attempted to find redress in other forums, including the International Chamber of Commerce and MTN is now arguing that the South African courts should not entertain the claims. "The case in South Africa is the fifth time that Turkcell has attempted to pursue legal proceedings in respect of substantially the same issues," the cellular service provider said.